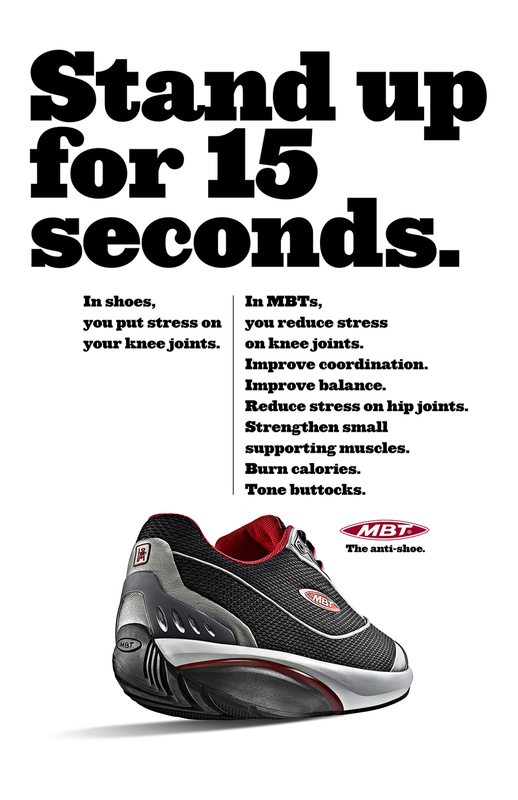 They call MBT the anti-shoe. It has an uneven sole to mimic walking barefoot over uneven ground. Constantly working the muscles in your feet and legs. So even standing still you’re not really standing still.